This course is designed as a quick awareness course for those in the care sector where there is only a short awareness required rather than a full course. The exact contents of the course are printed on the rear of the certificate. This is not the full courses which are available if required. 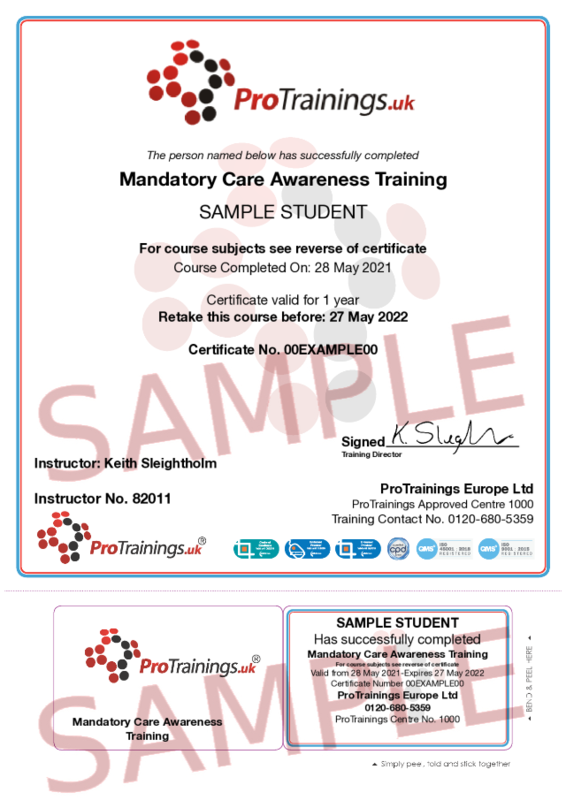 The course curriculum is quoted on the rear of the certificate as we can adapt the course content to the customer's needs.